Women don’t wake up looking good in the morning. They need to spend time getting ready, usually more than men, shaving off the excess stray hairs from their face before they are ready to apply moisturizer or cosmetics. 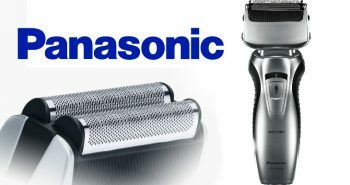 Panasonic has a unique and safe solution for women who have been trying to use their bulky leg shaver or a safety razor to shave around the narrow regions of the face. 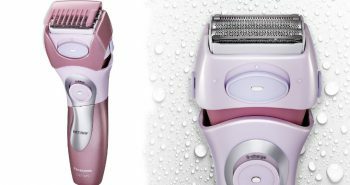 The Panasonic ES2113PC is a facial hair trimmer for women. It has a unique design to make the shaving chore a more enjoyable experience. There are some great features in this trimmer. 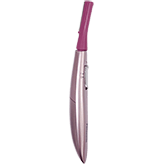 At first glance, it appears to be a pen, with a burgundy red trimmer tip and a pink metallic body. It has a slender long narrow design that is slightly curved, making it easier to hold in the hands. At the top of the burgundy head is a narrow trimmer comb. 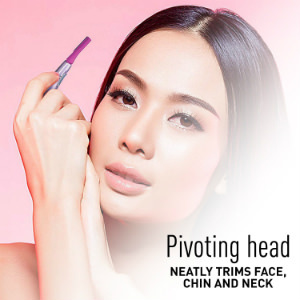 The head of the trimmer is pivoting, so it will move with the curves and angles of your face. It will pivot ten degrees to the left or right sides. This will make trimming your face, chin, and neck much simpler. This head has a smooth flow and it will gently follow the contours of your skin, ensuring that all excess hair is removed. You can also use it on your chin and neck. The blades built within the Panasonic ES2113PC Facial Hair Trimmer for Women are made with round tips and super-thin hypoallergenic steel. This means that they’ll be able to trim even the most sensitive skin, without experiencing any irritation. It will work on all skin types. It is also suitable for peach fuzz type of hair, or for women who have thicker coarser hair. Some women may not notice hairs on their face until after they put their makeup on, but that’s all right, as you can still use your Panasonic trimmer over makeup. Around the middle front is a silver metal button that you push to 1 to turn on and 0 to turn off. 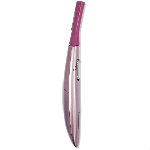 The Panasonic ES2113PC Facial Hair Trimmer for Women with Pivoting Head and Eyebrow Trimmer is made from plastic materials. 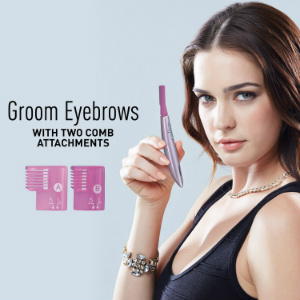 There are two different comb attachments (A&B) so you can groom your eyebrows. These combs actually trim your brows, but leave behind a length of hair so that your brows look great. The combs simply snap on and then snap off when you are done. This facial hair trimmer is battery operated so you don’t have to worry about plugging it in or charging it up. You’ll need to purchase one AA-sized battery, as there is not one included in the box. 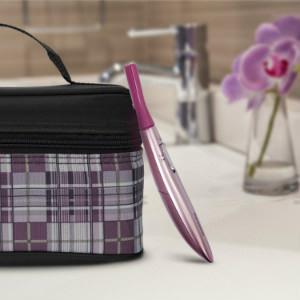 You can pack this trimmer easily into your makeup bag or luggage so you can do touch ups on the go. It measures 1” x 1” x 7 inches. Most people will only think that it’s a special pen, so you won’t have to be embarrassed that people know you have to shave your face. Most women who try this trimmer like it. It has 4.1 out of 5 starred reviews. There is a clear plastic cap that attaches to the head of the trimmer so that it will stay protected when on the bathroom counter, or if you wish to store it in a bathroom drawer. This trimmer will look attractive in your makeup bag or case, and no one will guess that it’s used to trim facial hair. 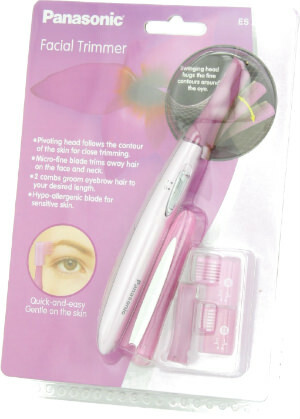 The Panasonic ES2113PC facial trimmer comes in a pink and white cardboard packaging. It costs around $20, making it an affordable addition to a women’s personal grooming kit. It’s manufactured with parts from the USA or imported from other countries. If you’re searching for a better way to trim your eyebrows and shave off embarrassing facial hair, the Panasonic ES2113PC Facial Hair Trimmer for Women, with Pivoting Head and Eyebrow Trimmer has been designed with a sleek and stylish design for women. It will fit comfortably in your left or right hand. It will give you complete control of your grooming, and then when done, it will fit into any sized beauty kit, purse, or bag.